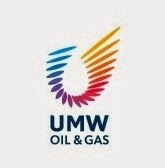 UMW Oil and Gas Corporation Bhd (UMW-OG) made an impressive 20 sen premium debut on the main market of Bursa Malaysia yesterday, and aims to increase its overseas contribution by the second quarter of next year. UMW-OG, under the stock short name UMWOG and stock code 5243, initial public offering (IPO) had raised approximately RM2.7 billion including over-allotment and claims the title of Malaysia’s largest listing thus far in 2013. The market capitalisation of UMW-OG, based on the price of RM2.80 per share for the enlarged share capital of 2,162,000,000 shares post-listing, is approximately RM6.1 billion. In a press statement, the company said it had secured overwhelming demand from a mix of local and international institutional investors for its shares. A total of 21 cornerstone investors anchored the transaction, subscribing to an aggregate of 399 million shares, representing approximately 18.5 per cent of the enlarged and paid-up share capital of the company. Its institutional book was oversubscribed by 55 times with its shares priced at the top of the indicative range while its retail offering to the Malaysian public tranche witnessed an over subscription rate of 10.7 times. President Rohaizad Darus was quoted by a local media as saying that the leading oil and gas player, was looking at opportunities in the Asia Pacific region in the long term. “With our drilling rig, Naga 3, catering to a contract scheduled to commence in Vietnam next year, we are looking at more forays into the overseas market,” he added. He was speaking at a press nonferrous in conjunction with UMW-OG’s listing on Bursa Malaysia, which is the country’s largest for 2013. UMW-OG has four drilling rigs and is expected to take delivery of another next year. According to Rohaizad, who is also UMW-OG’s non-independent executive director, about 30 per cent of the company’s business at present comes from operations in Thailand, Vietnam, China and Turkmenistan. Rohaizad said in a statement, “To further fuel our growth, we have spread our wings across Southeast Asia, with contracts in Indonesia, Vietnam and Thailand. Rohaizad said UMW-OG’s core business remains in the shallow water and due to the shortage of rigs, is unable to leverage on all the opportunities within the region. “For the next five years, there are enough opportunities in the Southeast Asian region,” he added. In Malaysia, UMW-OG has eight to 12 existing contracts, which are due to expire by the end of next year. Rohaizad said UMW-OG is also looking into buying more rigs and the listing is to secure additional funds for this purpose. The company has allocated a large portion of the total gross proceeds of approximately RM1.7 billion to acquire, upgrade and maintain drilling rigs and hydraulic workover units as well as to acquire and upgrade its machineries for oilfield services as part of its capital expenditure. On UMW-OG’s dividend policy, he said, there was no fixed policy but in the long term, the company aims to give out dividends on an increasing quantum. He also described UMW-OG’s share price performance on the Bursa Malaysia as commendable, with a comfortable premium based on the current market situation. As at midday, the counter jumped 32 sen above its IPO price at RM3.12 and ended at RM3.10 per share with 221.3 million shares traded. Meanwhile, Reuters reported UMW-OG market cap of RM6.5 billion ringgit dwarfed local rivals Perisai Petroleum Teknologi Bhd and Coastal Contracts Bhd which are each valued at around RM1.6 billion. The robust debut comes after its IPO priced the top of a tight indicative range of RM2.70 to RM2.80 in mid-October on strong demand from institutional investors. Twelve-month target prices set by six brokerages ranged from RM3 to RM3.36, according to a Reuters survey.